I am sorry I’ve been MIA here this summer. It started out with a bang and I’ve been tired by most evenings I wanted to blog but happy and my heart is full of wonderful memories with my family. This post is going to be about my struggles with my period so if the words “uterus” or “blood” scare you – I’d advise you to a) grow up (ha!) and b) find another site to keep you occupied. I decided to share my experience because it was hard to find friends who had gone through this. Even the older ladies in my water aerobics class had no advice to share with me! I have had horrible periods my whole life. They are heavy, long, and painful. I’ve never skipped school, sports, or work because of this, but I’ve had my moments where I have had to close my eyes and focus on something happy. After having kids, I can liken the pain to contractions! In early June, I talked to OB-GYN about my options. The pill sends my hormones into a tizzy and caused lumps on my breasts the last time I took it. 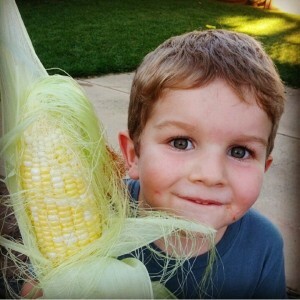 Since I was pretty sure I was done having children, we discussed surgery options. 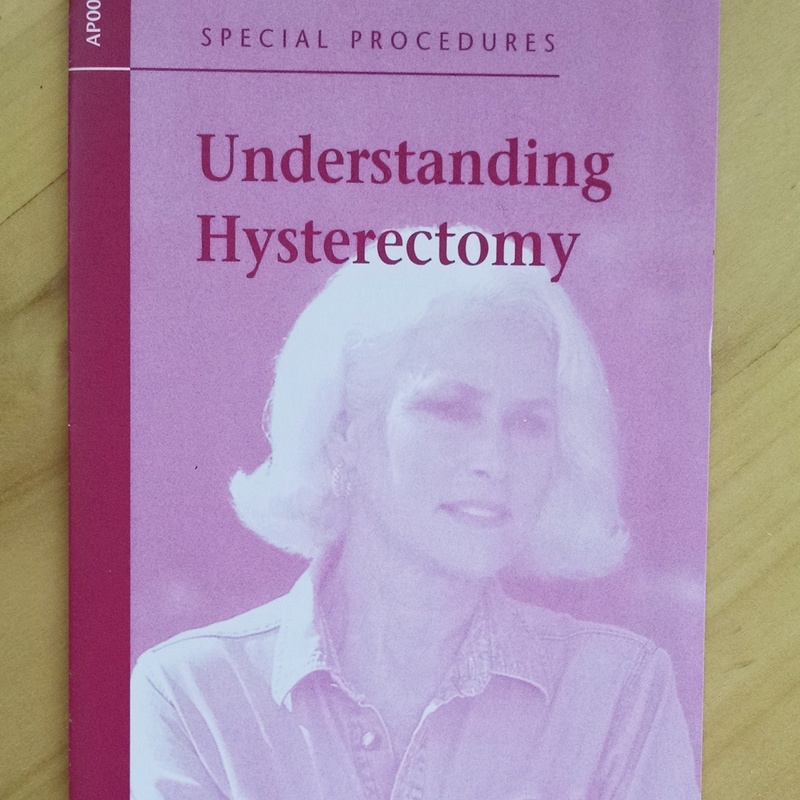 I would first have an ablation and if that didn’t work, I’d have a partial hysterectomy. James and I had discussed these options prior to my appointment so none of these options were a huge surprise to me. And I’m sorry, but this brochure had me cracking up when I received it. I cannot relate to her at all. I know I’m not the average age for this surgery, which is one of the reasons I’m sharing my story here. I want other young ladies to know all options and see what’s right for them. I had blood work and a pap-smear to rule out cancer. Phew! Also had a 25 minute vaginal ultrasound to get the full picture of what was going on down there. And side note – buy a girl a drink before such a long ultrasound! My OB-GYN told my that she saw 3 things that were causing my bad periods. First, thick lining which would be taken care of with a D & C. She also spotted fibroids and polyps which could be taken care of by having an endometrial ablation. I was also told that these three things can make it difficult for women trying to get pregnant. Knowing that info made me hug my babies extra tight when I came home. 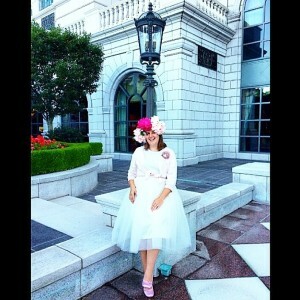 A week or two after my appointments, I was at my favorite blogging conference – ALT – in Salt Lake City. On the last evening, right as the garden party kicked off, a friend tapped my shoulder to let me know I had a spot on my skirt. Color me embarrassed as this has never happened to me! My friend Troy took this pic about a moment before the drama unfolded! Notice the light color of my skirt!! I hurried upstairs to change and quickly shower. When I was in the shower, I noticed that I was bleeding like never before which explains why a super tampon and giant pad did no good after 45 minutes. This did scare me though and then my lining came out. Three times. Since I couldn’t stop this, I knew I needed to go to the ER. I called my friend Jess who was still enjoying herself at the party and asked if she’d come hang out with me at the ER for a bit. I am very thankful that she came with me as it took several hours to get everything sorted. The doctors first came in and held my hands and told me that they thought I was having a miscarriage. I told them not possible – I’d just had a super long ultrasound. They wanted a pregnancy test first which was fine by me, but it took them an hour to come back and let me know that I indeed was not pregnant. An hour of thinking that you maaaay be having a miscarriage was not fun. I was finally given a hormone and told that the bleeding would stop soon. I got back to my hotel room to sleep for a few hours and then hop on a plane back to SF, nap, cook dinner, and go back to sleep. I woke up at 6 the next morning, packed for camp for a week for myself, Alice, and Patrick and we were on our way to the woods! The hormone I took to stop the bleeding took that entire week to work. I still had to go to the bathroom almost every hour for the first 4 days. This was difficult to do with two small kids but luckily my Dad and good friend Rebecca were nearby to grab the kiddos while I ran up to the head! Surgery was scheduled for my next period and I was in and out in a few hours. I ended up having a bad reaction to the anesthesia and was violently throwing up the first day and in total pain. Like the “nobody talk to me and I’m going to see if laying on the bed upside down helps” kinda pain. James was a rockstar and called the doc to get some meds to control everything. One pill for nausea and for pain was all I needed. Recovery has been good otherwise – just feeling uncomfortable and still bleeding til things are normal again. I’m very hopeful for less pain every month and I’ll keep you posted if I have undergo anything more dramatic. My hope with this post is to inform others of options. It was tough to find others out there who have had surgery in their early 30’s. I’m excited to feel a bit more normal and not like I need to go to Costco every month for supplies. Our family was thrilled when we bought a home because the 4 of us were previously squished into a 2 bedroom condo and were ready to literally plant some roots! 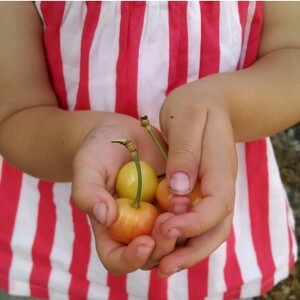 There was a park next to our condo so we were always able to play and explore, but there’s really nothing like having the freedom to do that anytime in your own backyard and make your own decisions about what to plant and grow. We had to totally redo our entire house once we purchased it (roof, windows, interior, plumbing, floors, you name it – it was redone!) and the garden was on the back burner for a while. We made small improvements here and there for the last two years and I’m very proud of our progress. 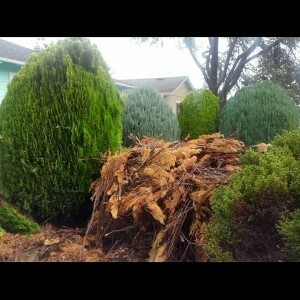 Both front and back yards were covered in junpier bushes and red and white rock. The soil was incredibly dry and full of clay with made attempting to dig anything out nearly impossible. James was able to remove a few bottle brush trees in the back by himself, but we needed professionals to help with the bushes. I mean seriously, it’s bush next to bush next to bush. 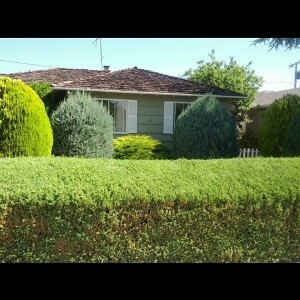 We also had landscapers add irrigation and a lawn in the front and back. This in addition to pulling out the juniper bushes took 3 guys one week. We also found out a year later that the tree in the back was a fruit tree despite it looking sad and not trimmed maybe ever. 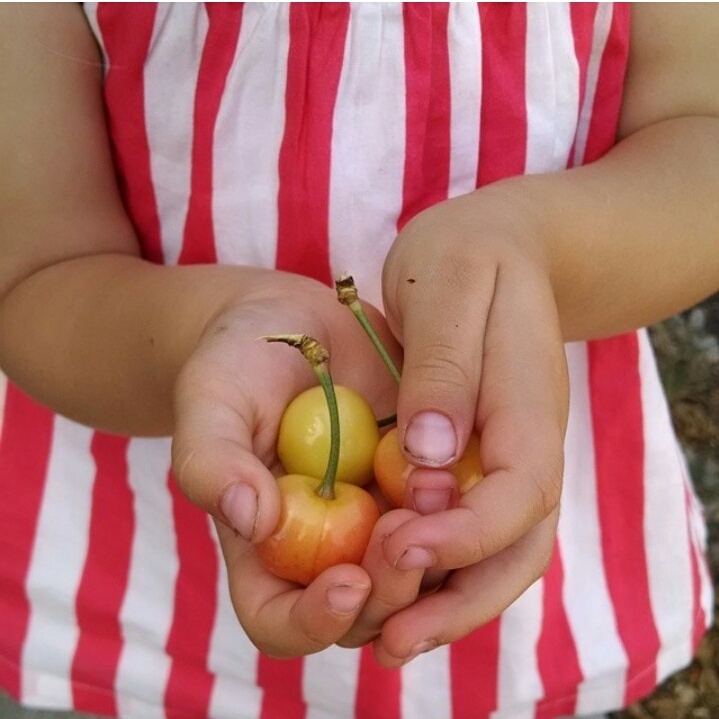 We trimmed it back and discovered that we now got to enjoy plums every Summer! About a year and a half ago, we bought a few raised beds along with lots of organic compost to get started in one corner and work our way around to the chicken coop. 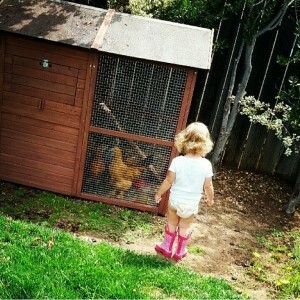 Here’s Alice about a year ago supervising her ladies. Sometimes we get surprises! I’m assuming it’s from the birds and squirrels who love to sneak a snack and possibly deposit seeds. We had volunteer pumpkins and carrots! Hopefully I can get my act together and grow more veggies in the Winter, too!! What are your favorite things to grow? Patrick and Alice and I have great fun with our popsicle maker. 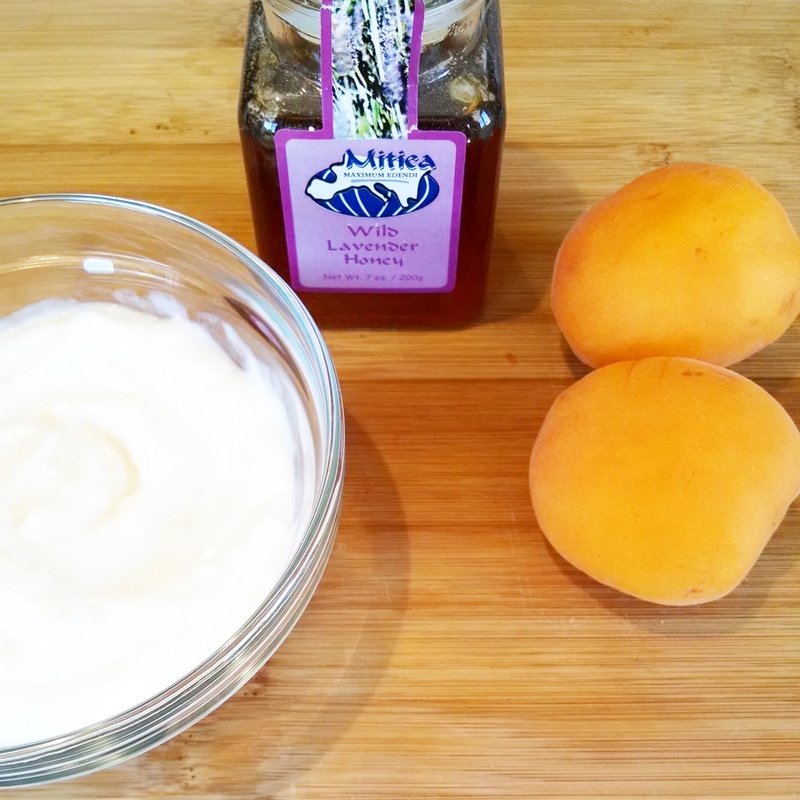 The other day when our neighbors’ apricot was literally raining down fresh fruit on our heads, we decided to create a new frozen treat together. I had some plain greek yogurt and since that along with the apricots can be a mouthful of tart, I added some lavender honey to sweeten our pops. I smashed up the apricots with a fork and added them to the yogurt along with the honey. There are no measurements here – just what you see pictured above. This is really more of an inspirational picture popsicle idea! We froze these for a few hours and as you can see, they were a big hit! 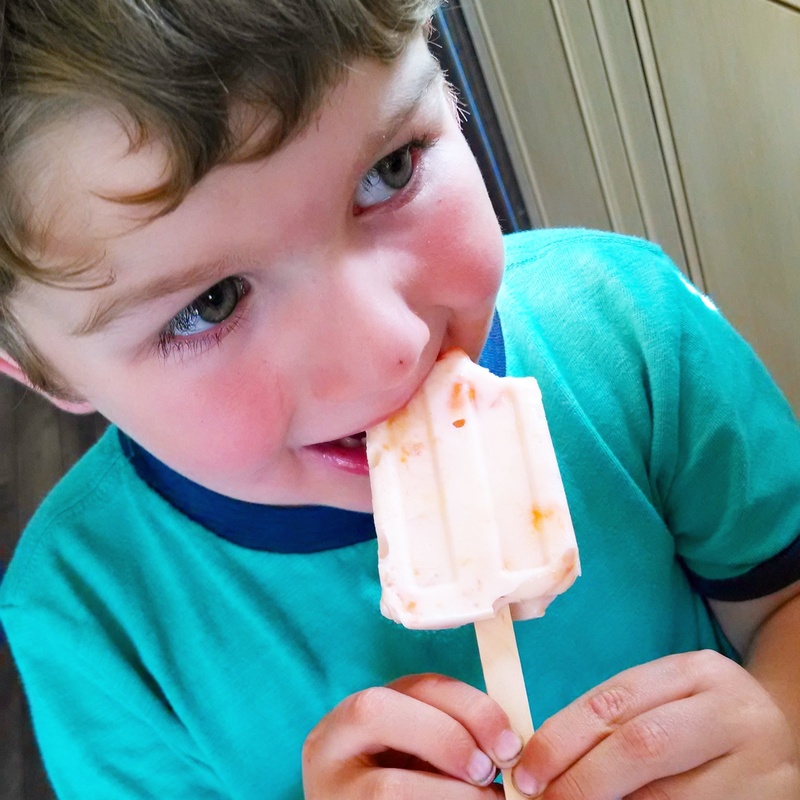 Below is an affiliate link to the popsicle mold I used to create these sweet treats. I was visiting my favorite local botanical shop, The Botanist a few months ago and found an unreal selection of succulents. Growing up, one of my Grandmother’s best friends had a spectacular backyard full of large, tiny, and incredibly rare succulents that she herself had found over the years. I loved how unique and colorful each could be, and that inspired me to grow a few in small containers in college. I wanted to do something creative with what I had still had along with what I purchased at The Botanist. 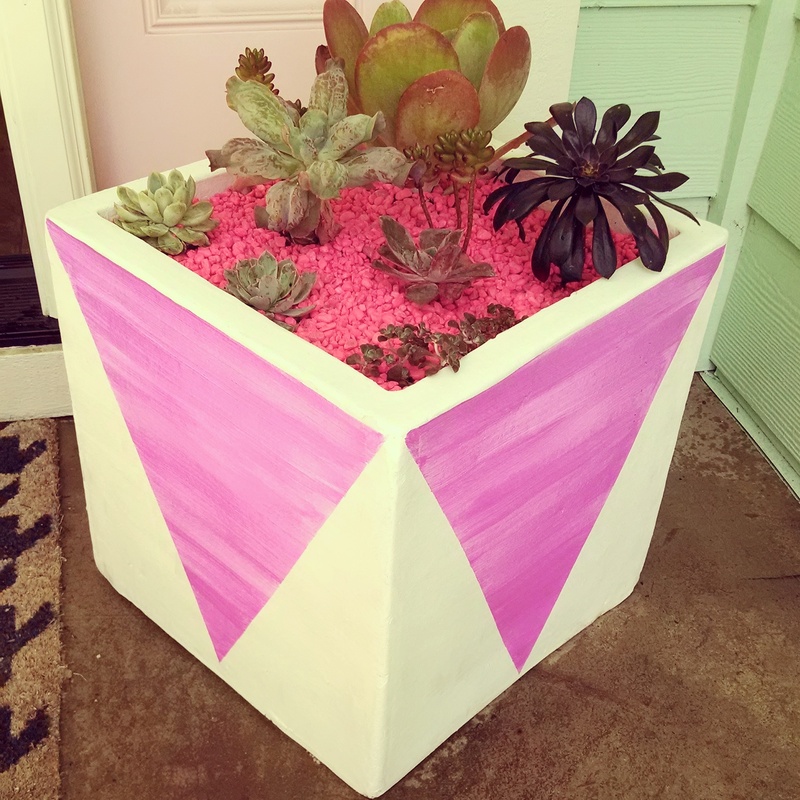 I knew I had to incorporate my favorite color – bright pink – into the mix, too! 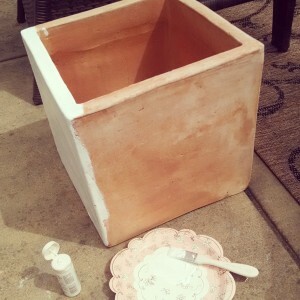 Unfortunately, it took me about 2 months to find a proper container for this project so I didn’t get started right away. 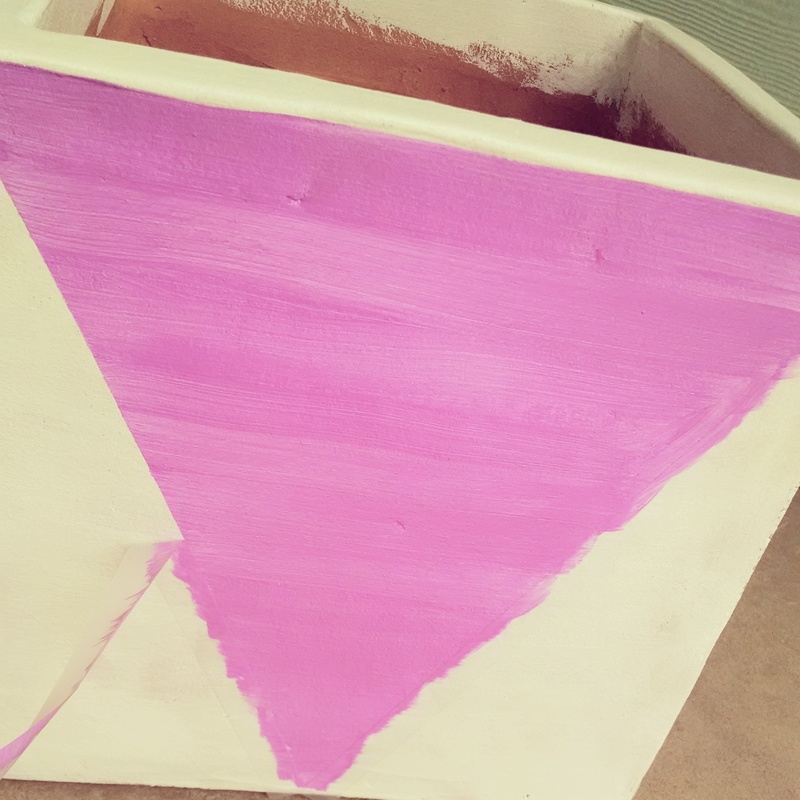 I couldn’t find what I wanted after visiting many nurseries so I decided to go with a shape I liked and paint something myself. I cannot explain how much I loved the warm peach color but it wouldn’t really match the hot pink accent. I think I may have to get more of these for future planting! I started by painting this white, not forgetting to paint a few inches inside as well. I waited for that to dry before taping and painting a shape to coordinate colors with the plants and pop of neon pink. 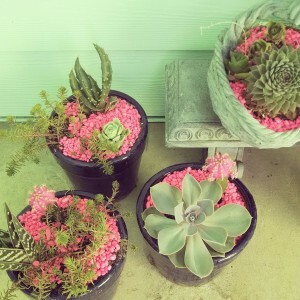 Once that layer dried, I filled the containers with potting mix and arranged my succulents. The final step was to load some hot pink aquarium rocks on the top layer for a huge pop of color! 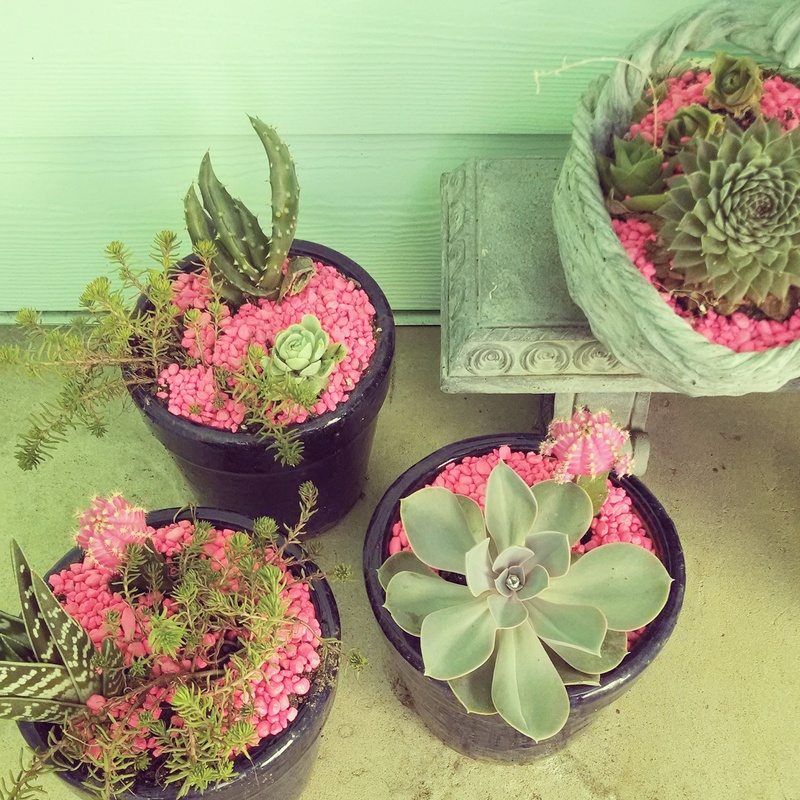 I had several leftover clippings, dirt, rocks, and other containers I wasn’t using so I added a few others to the other side of my front door. These beauties are perfect for my porch since it gets tons of sun and doesn’t require watering. 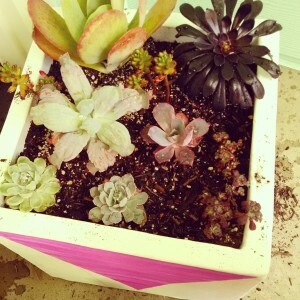 What creative ways do you plant your succulents? Below are affiliate links to a few items I used for this project. I was in labor with my son Patrick for 26 hours. My daughter Alice took 13. The only time I cried for either birth was when I was getting an epidural for Patrick. For hours and hours intense contractions increased and lack of food for energy were catching up with me and I decided to have some help to relieve the pain. As the needle went in, tears came flooding out. All I could think about were other women in the world right then and there experiencing the same pain but were not as fortunate to receive medication when requested. The nurse wiped away my tears and reassured me that everything was okay, but I could not fathom why I was so lucky to receive medication when others had to suffer. The irony is that for the rest of Patrick’s birth, I could feel the pain on one side and not the other since the epidural did not work correctly. As Mother’s Day came around again, I still felt haunted by how “easy” my birth stories are compared to other Moms. Scrolling through my feed on Instagram had me troubled that day. 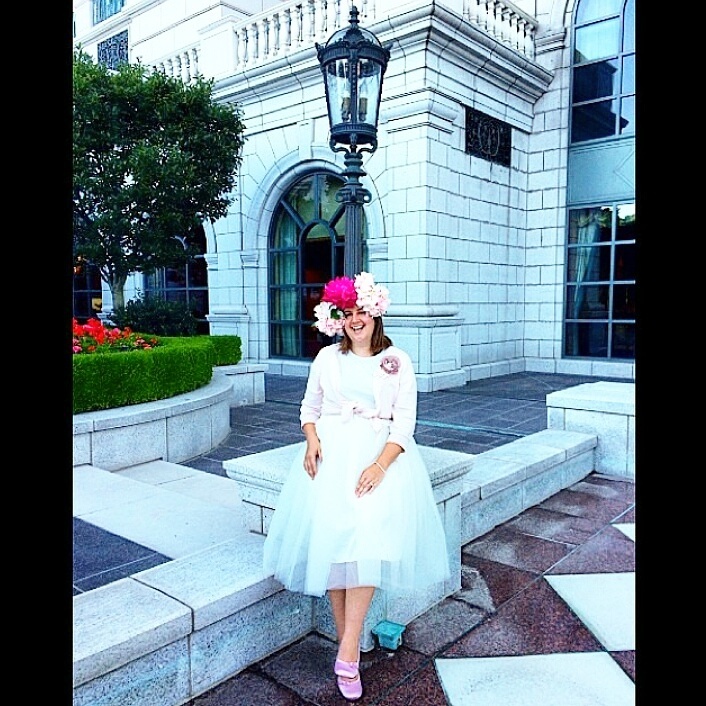 Through an inspiration blogging conference, Alt Summit, we had been introduced to an organization called Every Mother Counts. At the conference, we had watched a documentary that showed how Mothers across the globe gave birth. The complications and seriousness of childbirth is intense. 287,000 women die every year as a result of complications during pregnancy and childbirth. That’s one woman every T W O minutes. On average – four orphans are left behind. Not only is the role of Mother gone, but whatever position/s she held in her community. The most compelling stat is that 90% of these deaths are preventable. Reading more on the Every Mother Counts page, I am ready to help change these numbers. I am compelled to host a screening of the documentary I watched called No Woman, No Cry with my friends and talk about how we can help. Fundraising before and that night along with donating phones will be the first steps, and once I have a date finalized, I’ll have a better idea of what else I can do for the organization. Please stay posted here for the invite. Once a few family events on my end are scheduled, I’ll be posting all the details for a night together with my girlfriends. Checkbooks at the ready, people. 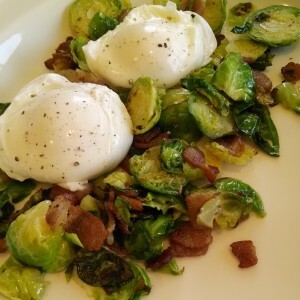 I hope you enjoy this breakfast/brunch recipe as much as I do! 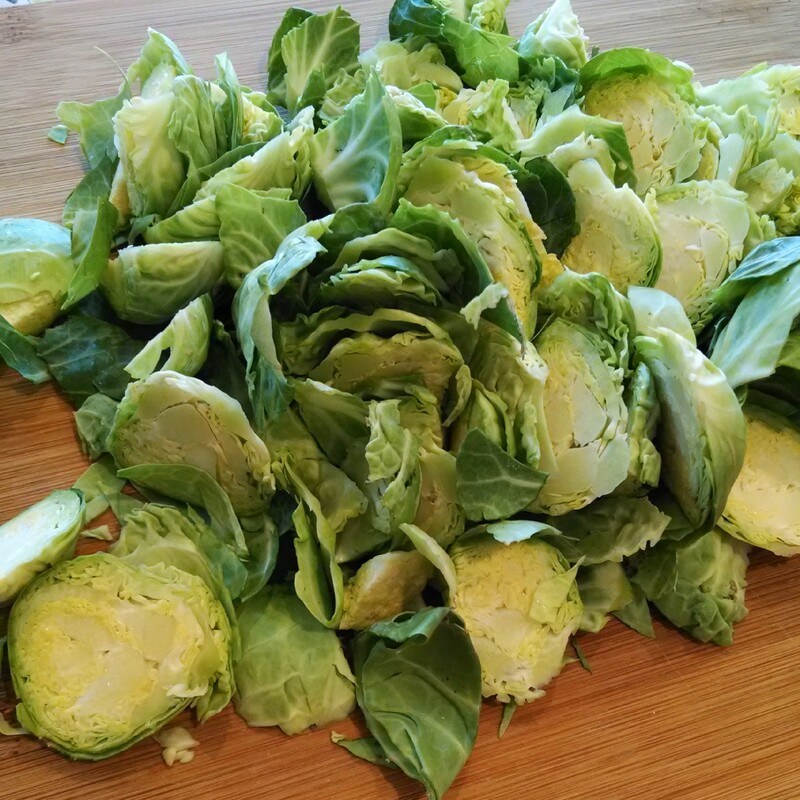 Shave brussels sprouts or slice in half. Shaving will cook these much faster – so it’s up to your individual taste. 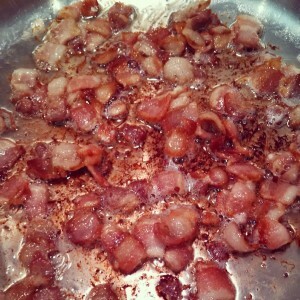 Slice bacon into small pieces and cook at medium heat. When cooked, place pieces on a paper-towel lined plate to soak excess fat. Add brussels sprouts to pan and cook for a few minutes. Adding halves will take a little longer, but you’ll want to cook these babies up in delicious bacon fat! As these cook, start poaching your eggs. 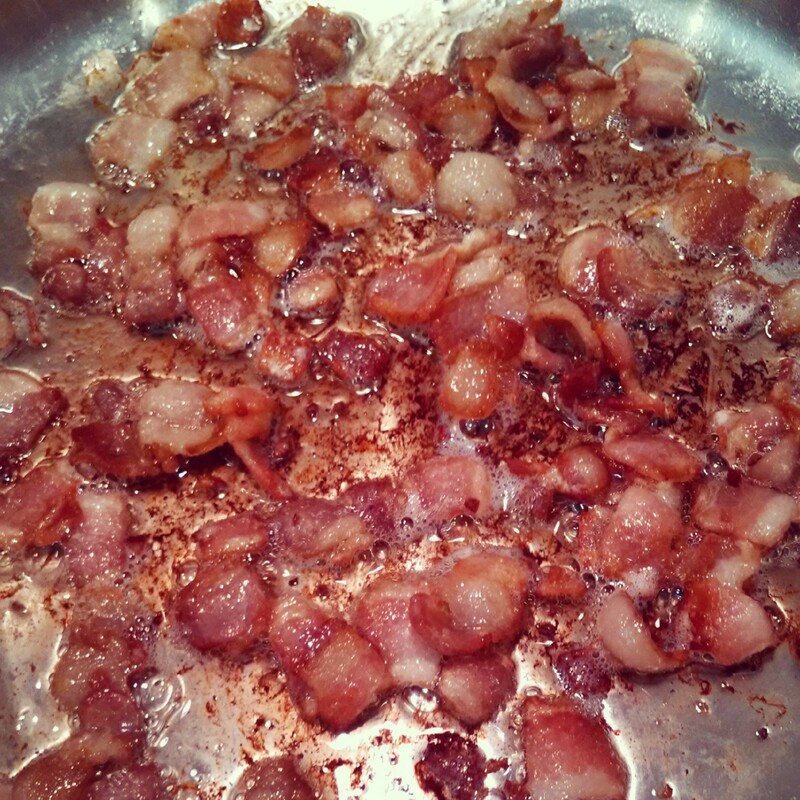 When your sprouts are done cooking, plate them up and mix in your bacon. 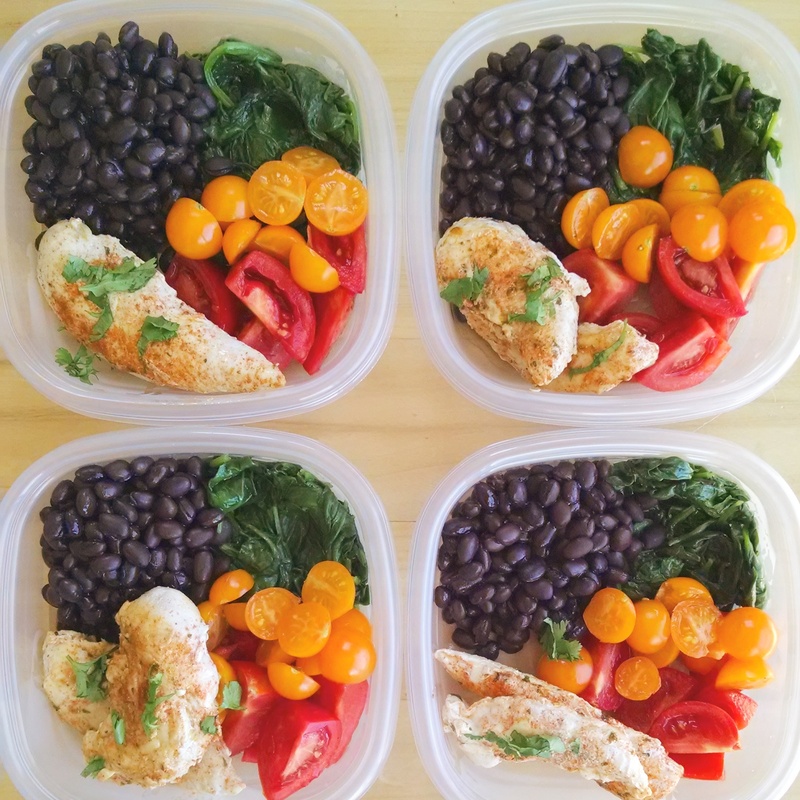 Add your eggs and enjoy! I’ve added a little truffle salt in the pic – more for flavor than salt. This dish already has salt so I don’t add any to my eggs. Garnish as you please! 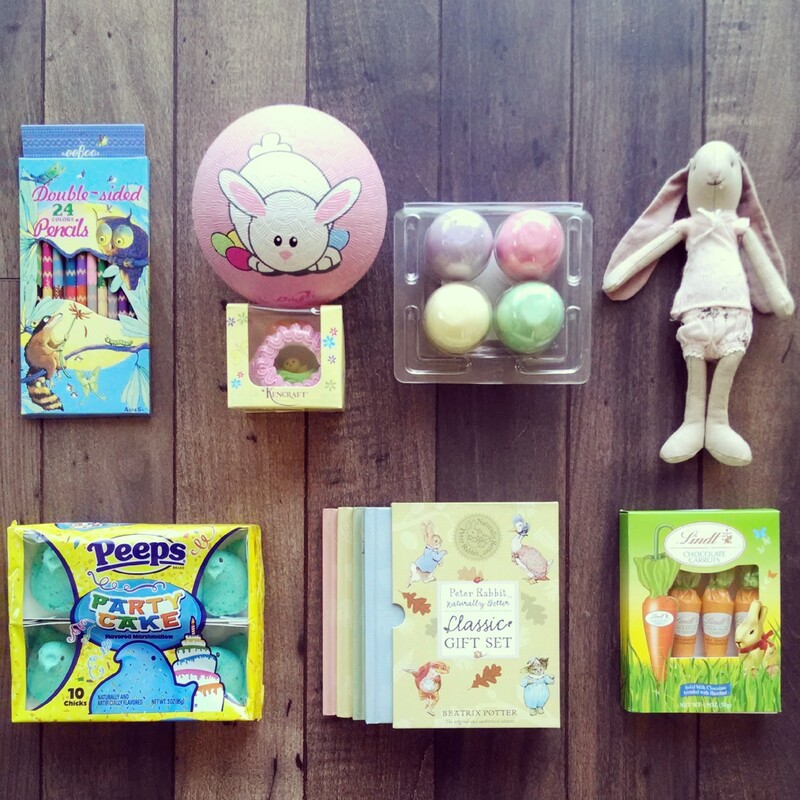 Easter will be here shortly and I wanted to share a few goodies that will be appearing in a few baskets in my home! I try very hard not to include a lot of candy and junk, but know that it’s fun to enjoy special treats once in a while. I really enjoy finding new books or creative craft supplies and had a great time with the roundup below. The colored pencils are double sided and come in a variety of beautiful spring colors. Of course egg sized chalk are an eggsellent (ha!) addition to any basket. 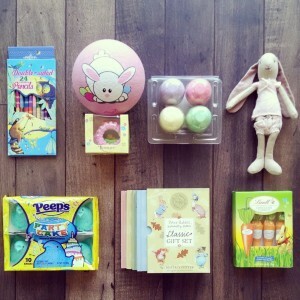 I seriously want the bunny ball for myself and who can resist a classic set of Peter Rabbit books. And funfetti Peeps – I had no idea you were a thing! 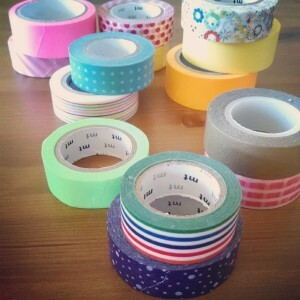 I own a lot of washi tape. This is maybe a third of my stash. 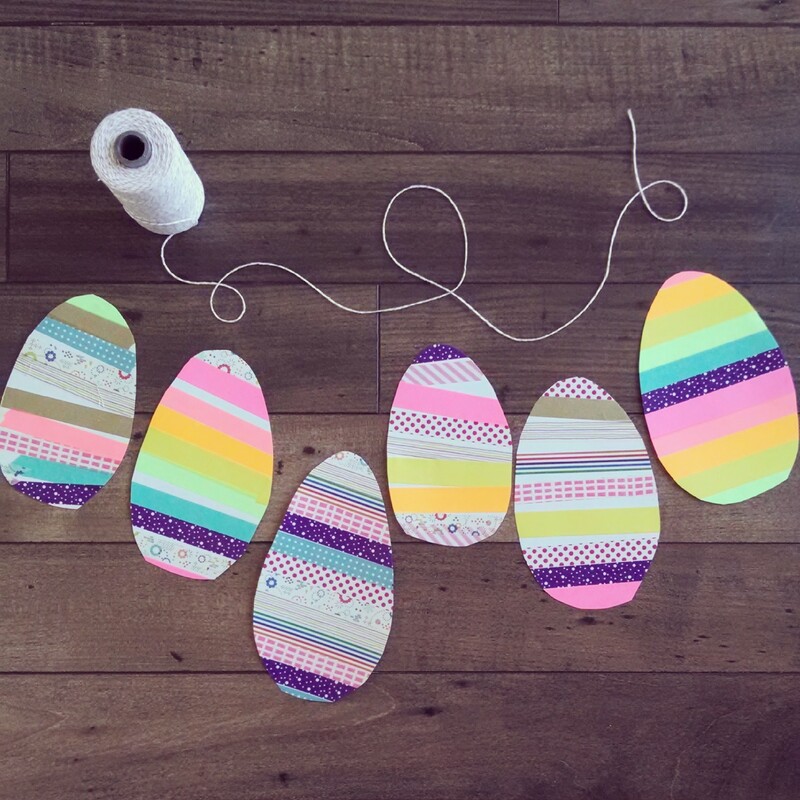 We craft a lot with washi tape and since it’s almost Easter and my mantle needed some color, I thought why not create some giant washi tape eggs! 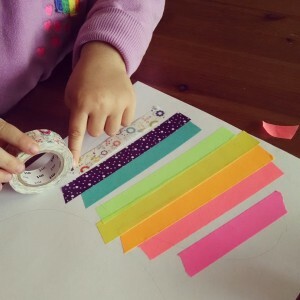 Making a washi tape egg garland is a great craft for toddlers and you can adjust how much help they might need according to their skill level. I started with a few pieces of printer paper and drew two giant egg shapes per page. Then, I let Patrick and Alice decorate each egg as they wanted. Some tape is more difficult to get started with little hands, but most I had they could do themselves. 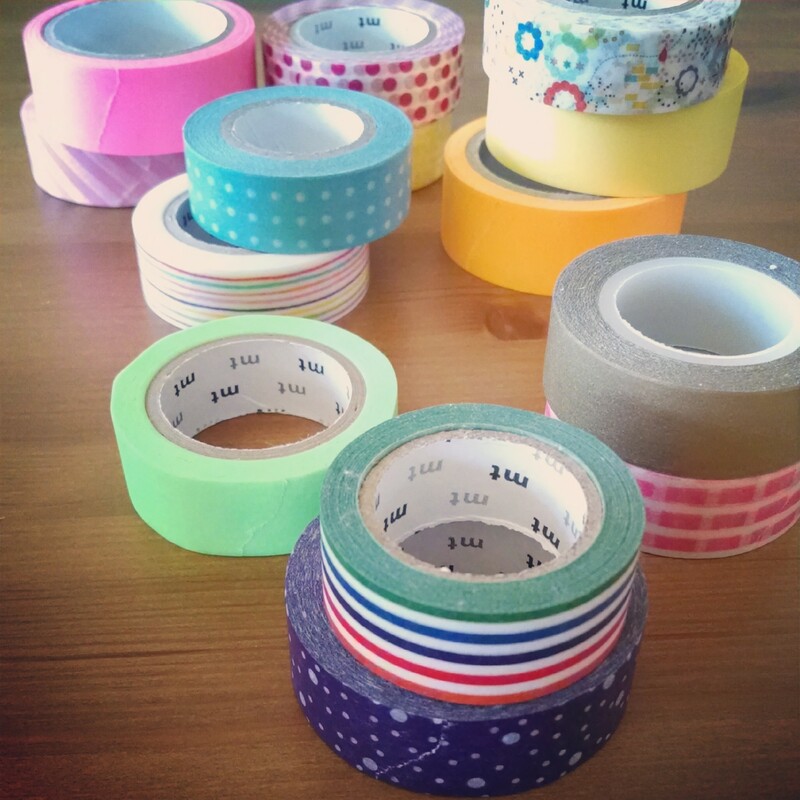 Once the length is measured, they can cut their tape. Patiently pushing the tape from one end to the other since Alice likes it very flat! 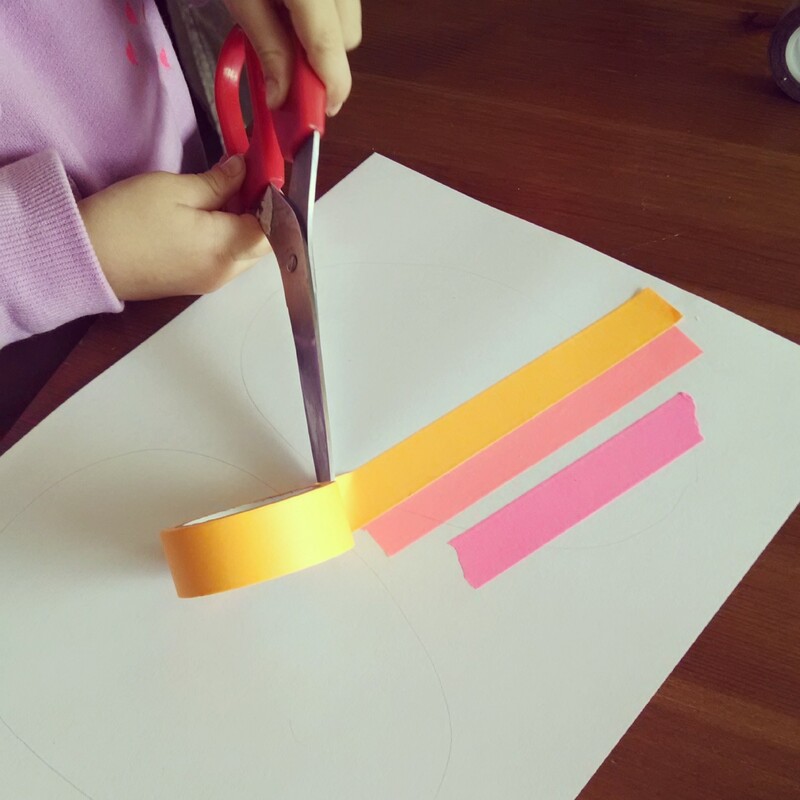 I then cut the eggs in the pencil tracing I started with, and the kiddos helped me create an order for our garland. We finished with cutting a small hole at the top of each egg and stringing it with colored twine to hang on our mantle. Below are affiliate links for the items I used to make this craft. 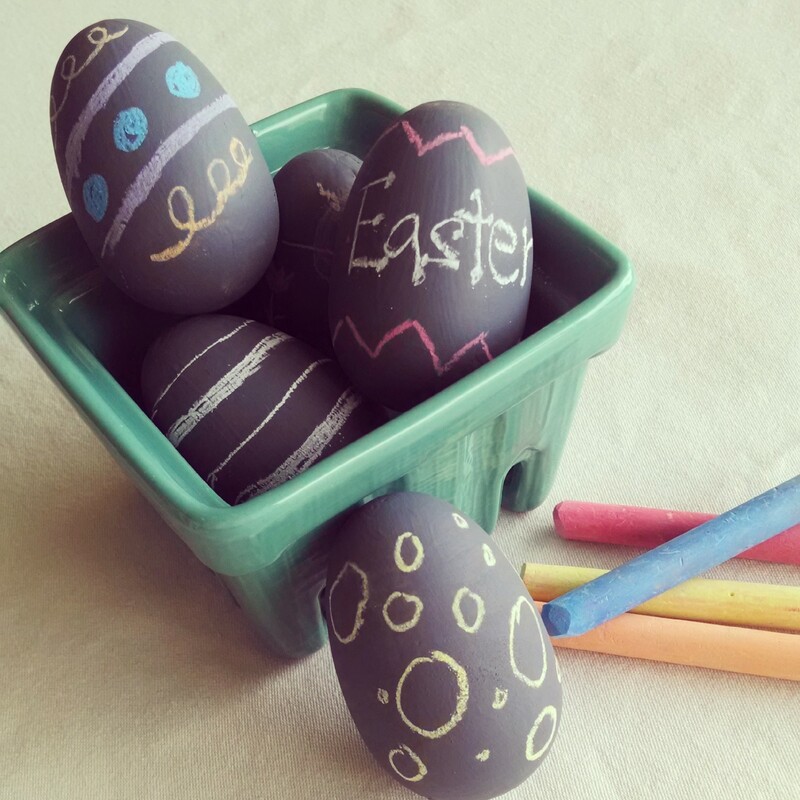 Earlier this year, perhaps January or February, I was flipping through the Williams-Sonoma catalog when I came across a very cute egg decorating kit that let you paint your hollowed out eggshells with chalkboard paint. I was immediately in love with this since I throw that paint on anything but then the thought of hollowing out eggs with two toddlers and having them try to decorate eggshells without breaking the whole thing had me feeling a bit nervous. Luckily I remembered almost purchasing wooden eggs to paint for last Easter, and that got me inspired to buy them and paint for the kids to decorate! I painted the eggs in two batches since they are a funky shape and I didn’t want the paint to stick to the surface where they were drying. 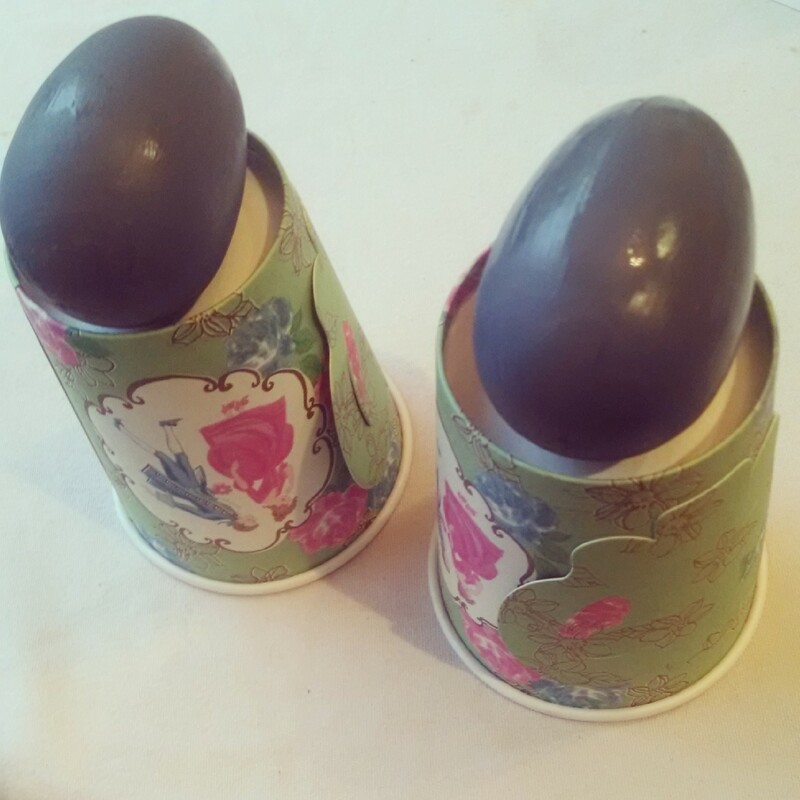 I had a few leftover paper cups in my pantry, so I turned those upside down to ensure the eggs wouldn’t roll around. Once it was dry, I pulled out the chalk, and we started decorating! The best part about these wooden eggs is that they’re perfect for toddler hands. Also, rather than regular paint which I had thought of using last year, we can decorate every day or as often as we want by using chalkboard paint. And oh the ideas are endless when you throw into the mix how many colors of chalkboard paint you can buy, and patterns you can put on with chalk! Below are affiliate links for those interested in what I used to create chalkboard Easter eggs.